This is a brief guide for beginners who’d like to master Facebook Ad and become a professional digital marketer. Being able to accurately and swiftly identify the cause of dipping conversion on Facebook Ad is the core to maintain stable conversion rate. While some of the troubleshooting tips may require deep knowledge of ads optimization and years of experience, most of the problems causing conversion to plummet can be boiled down to five common themes listed following. To begin with, if your conversion rate has dropped but the overall website traffic remains the same, the very first thing you need to do it to reexamine the checkout process in environments of different kinds, such as different browser and operating systems, and test every link to double check if they all work normally. In most cases I have handled, either the links that fail to redirect to the product page or the checkout page that doesn’t run fast enough is reported frequently. Basically, you would find the bugs within the examination process and fix it. Suppose there’s not a major issue found in the checkout process, checking ad creatives and the target audience is what you should do next. Is it because you haven’t updated the ad creative and copy for a while and, consequently, viewers click on your ad with outdated information? Or the group of audience you target is not as precise as you imagine and don't find the ad delivered appealing? Undoubtedly, these are issues that may impact conversion drastically. We all understand conversion only happens when visitor’s expectations, which are set before landing on websites, are met or exceeded. Keeping the ad updated with the website content and making ad copy persuasive therefore is the key to catching their attention and fundamentally altering their expectations. Given that Facebook ads might be the first touchpoint for potential customers, it’s important to update ad creatives and copies regularly. Along with adjusting the target audience, it’s certain that your conversion rate will bounce back to its previous status. However, identifying the causes for plummeting conversion rate is not an easy job in some cases as the problem lies in the backend especially. Therefore, making sure all the technology is working properly is also on the checklist. Let either yourself, if you have the knowledge of coding, or web engineers take 10 minutes to make sure tracking codes, Facebook Pixel and GA code, for example, is installed correctly. In addition to that, if you are an e-commerce retailer who relies on web crawler to update product feed daily for Facebook Dynamic Product Ads, the software errors in that might also impact the conversion rates as bad as it could be. One of the ad accounts I manage happened to encounter this technical issues. I couldn’t explain why conversion rate dropped 50% overnight until I ran a quick tracking and web crawler test. It turned out that the web crawler wasn’t updated to fit our client’s website which had been changed. Unsurprisingly, the product feed the web crawler sent to Facebook was entirely wrong— delivering irrelevant and wrong ads. Thankfully, the conversion rate went up to the level it was supposed to be after immediate troubleshooting. Understanding your business’ seasonality is another key to explaining why your conversion rate drops (or rises) and avoiding necessary overhaul to your website. For example, a boutique shop may experience an unprecedented peak prior to Chinese New Year because people following Chinese culture want to refresh themselves by wearing new clothes in the new year. However, you may find that customers are less willing to spend money right after the holiday. Similarly, this phenomenon can be observed after special sales. While you might see the same amount of traffic coming to your website, conversion rate somehow drops strikingly as compared to the previous days when the promotion is still proceeding. It’s important to take seasonal effect into account so that you won’t feel confused and overwhelmed toward the decline in conversion rate next time. Competitor changes could be difficult to diagnose but it definitely strikes conversion rate a lot than you think. Thanks to the advancement of search engines, it’s increasingly convenient to search similar substitutes or even same products, enabling customers to compare product and price in a more hassle-free way. One of the classic cases is the launch of Google Shopping, which significantly shortens shopping journey and inadvertently let customers make the comparison with the same product from different marketplace easier. The conversion rate will be impacted if the price of your offering is not competitive at all. You may find conversion decrease immediately when your competitors offer better promotion of price-cut. But, under no circumstance does it mean price is the only major factor influencing conversion rate. Better fulfillment service and shorter delivery time might also pull your customer away. That’s why you should always pay attention to your competitor’s every move and improve your business in terms of quality and competitiveness. 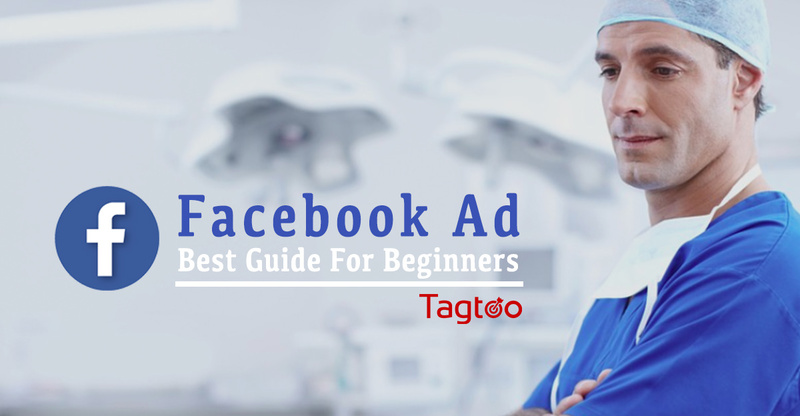 For a starter who’d like to master Facebook Ad, the must-equipped ability is not managing and delivering ads to the right audience but understanding where the problem is and knowing how to fix it in real time. Mastering Facebook Ad is a long journey. If you can’t solve the problem you face, need not feel frustrated. There are tons of resources on the internet and I’m always here to help.